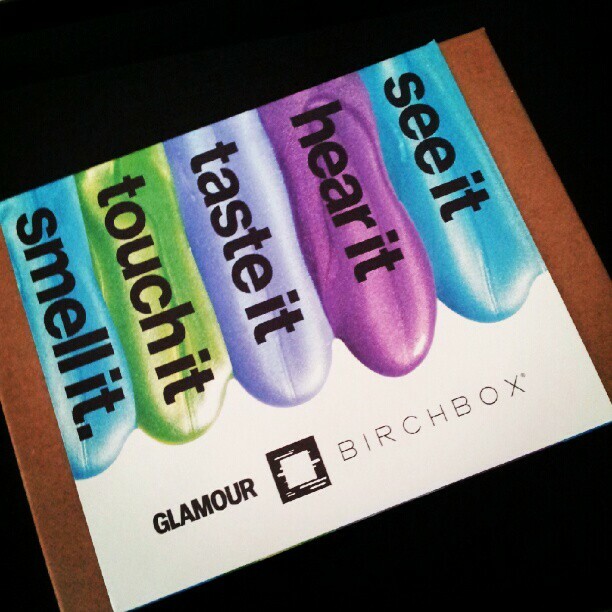 So excited that I got a first look at what Birchbox had in store for July. To celebrate their “Five Senses of Summer” July issue (on stands now), Glamour has partnered with Birchbox to stimulate the senses of beauty junkies everywhere. Let's see what I got in my box! I really loved everything in this box. I always use Boscia blotting papers so these were great for my purse. The headphone are super cute being neon colors and worked great. The Eyeko liquid eyeliner works amazing and I love that I got purple. I haven't had a chance to use the Jouer moisture tint yet, but I've heard good things. The Oscar de la Renta fragrance was pleasant but a bit too strong for me. The Larabar was not for me, I can never get used to the taste they have. All in all the box was great and very satisfied. You can sign up for Birchbox and get it for only $10 a month! Are you signed up for Birchbox? hope i get the neon earbuds too! Oooh. you got the Boscia Blotting linens. That's a good deal. I also like that purple liner!